I've always been fascinated by lasers and what they can do for your skin. I've alway been the first to admit that once age and sun damage started getting to me, I would definitely turn to lasers for a little bit of help. And that I did, at Meridian Clinic a couple of weeks ago! I have acne, acne scars, freckles on the tops of my cheeks, and a generally uneven skin tone. Dr Anshaw at Meridian Clinic (my go-to clinic for all my skin needs - they take really great care of my skin for me!) decided to go with the M22 laser treatment for me - a laser that can target all my skin concerns plus so much more*. I was given the Rejuvenation, Radiance, Sensitive and Acne treatments all in one laser treatment session (these treatments can be done together, or separately, and a single treatment can be tailored to target your specific skin concerns) which was quick, painless, and convenient. I was prepped with an oxygen facial before the laser treatment. If you're ever in the area and have an hour or so to spare, pop into Meridian Clinic and ask for their oxygen facial - you will not be disappointed! It is SO refreshing and boosts your skin's radiance like crazy! This facial is really similar to Bliss Spa in New York's Triple Oxygen Facial, and it's a fabulous pick-me-up for your skin. I highly recommend getting it done especially when you're preparing for an event, or as a pick-me-up after a tired week or a period of travelling. Love it! I was initially concerned about downtime, as I had a lot of events to attend during that time, but Dr Anshaw assured me that the laser treatment has no downtime whatsoever, and its effects are minor and barely visible on the skin. All you need to do post-treatment is avoid the sun, and avoid moisturiser and toner for 3 days. One of the post-treatment effects this laser can have is peeling, though I hardly experienced any myself. Everyone's reaction varies, depending on the intensity of the laser and the person's own lifestyle, skin condition and metabolism. The treatment lightened my acne scars, though they're not 100% vanished - generally laser treatments need a few treatment sessions before acne scars and pigmentation show visible signs of fading. What I definitely noticed with just one laser treatment was a visible glow to my skin, and a fairer skin tone. A major plus is also that I haven't gotten a single large pimple since I've done this treatment, and that's pretty amazing! 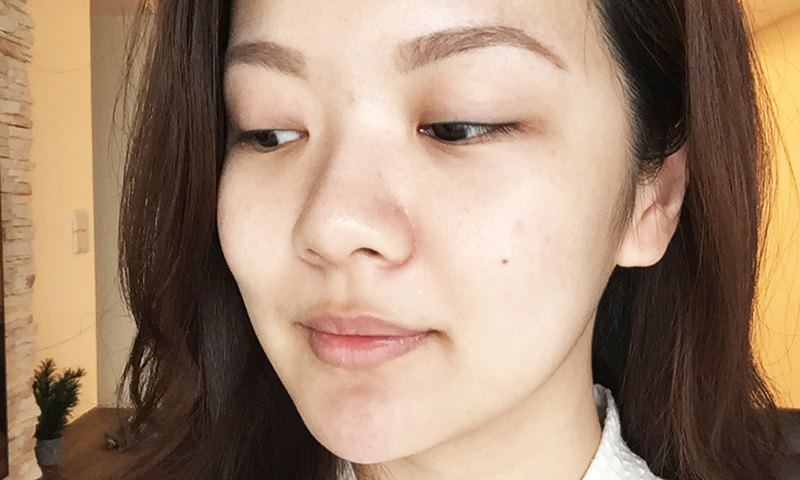 I've had small, itty-bitty zits pop up for a couple of days and then disappear just as quickly as they came, but my skin has stayed pretty clear ever since I had this done, and I am loving that! This laser can be done on just about anyone, and is even recommended for infants who suffer from congenital birth defects or birthmarks. It is great for teenagers who suffer from acne and freckles, too. *Some of the other skin concerns this laser can target include rosacea flush, sensitive skin, facial veins, broken capillaries, leg veins, and hair removal.